Brendan shares his “Top of the Stack” update for February 2019. See the whole Top of the Stack post over on BoardGameGeek. 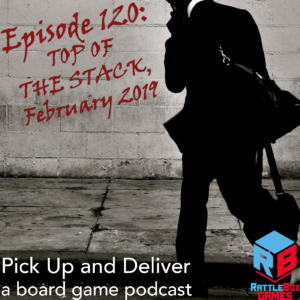 Pop over to the Pick Up and Deliver guild, #3269, on Board Game Geek and let us know how your month went!